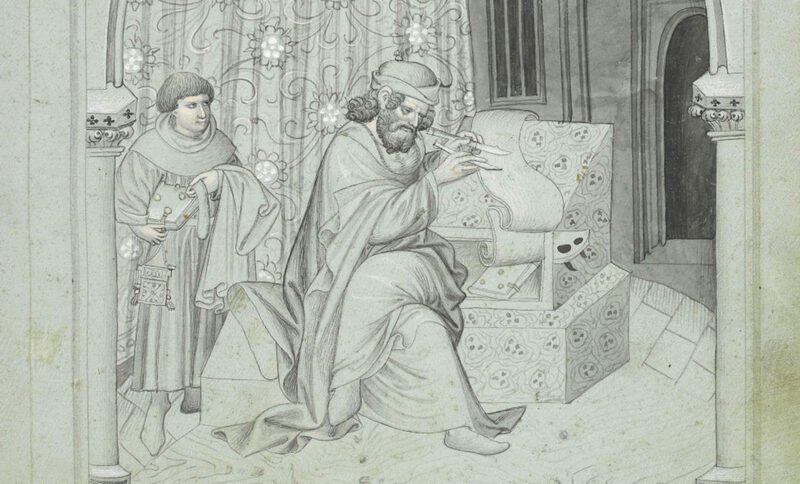 Jacob Coen‘s translation of the Old High German Ludwigslied marks an expansion of the Medieval Institute’s Medieval Poetry Project, formerly the Old English Poetry Project, which now welcomes contributions that translate into modern English any verse composed in a medieval language. 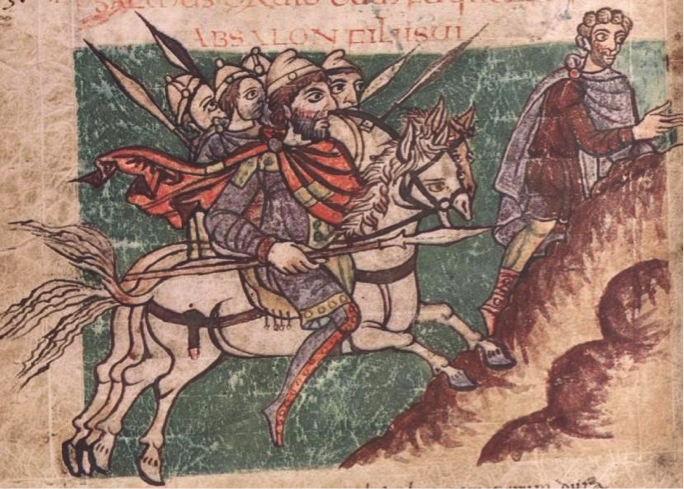 Manuscript illumination of Frankish cavalry taken from the so-called “Stuttgart Psalter” (fol. 3v), a Psalm codex produced c. 820 at the monastery of Saint-Germain-des-Prés (Paris), now Württembergische Landesbibliothek Stuttgart, Cod.bibl.fol.23. In August 881, the West Frankish King Louis III successfully routed an invading force of Vikings at Saucourt-en-Vimeu. Within a year, a poet tied to the court celebrated this seminal triumph in verse, creating one of the monuments of Old High German literature: the Ludwigslied. Presented below is a new transcription, translation, and recitation of this early vernacular masterpiece from its sole surviving attestation in Cod. 150, fol. 141v-143r of the Bibliothèque municipale de Valenciennes. Its inclusion in Notre Dame’s ongoing digital collection of Old English translations marks the beginning of a new phase of this project which will now expand beyond the bounds of one language. If Old High German still retains many similarities to Old English, the Ludwigslied already demonstrates a series of changes within the former that led to the birth of a language unique and clearly distinct from its sister tongues. The text, therefore, serves as a fruitful tool for philological comparison and poetic analysis while capturing the reader’s attention with its driving rhythm, its presentation of divine intervention (as well as punishment), and its heroic protagonist. Transcription Note: In past editions of this text, the words ðugidi and gunðfanon have been transcribed with d instead of ð. I believe, however, that the forms of these letters in the manuscript are different enough—their ascenders are curved and rather short while elsewhere the letter d is marked by a longer, straight, and almost spatulate ascender—to require a different transcription. Furthermore, given that the text is composed in a Rhenish-Franconian dialect (closer to “Middle” German), it is entirely possible that the High German shift /ð/ > /d/ (and further /d/ > /t/ in some positions) was not yet complete or was at least not yet distinguished in writing.